Welcome to the Where Else to Go podcast. Episode #16 features Elena Paschinger talking about where else to go – southern Brazil. Elena is a tourism management graduate from Austria turned travel writer, teacher, business consultant and public speaker. She became totally impassioned with meaningful, culturally authentic, and engaging travel experiences after spending one and a half years living and working in New Zealand. Tracking the exponential growth of creative travel around the world, she has actively participated in developing and promoting creative destinations through her international consulting business. Her most recent achievement includes moderating an international panel discussion on creative travel and community development for the UNWTO United Nations World Tourism Organization at the ITB International Travel Trade Show in Berlin. When most people think about visiting Brazil, they think about Rio or Sao Paulo, but Elena advises us to head south to the cities of Porto Alegre and Florianopolis. It’s about a 1:40 flight from Sao Paulo to Porto Alegre, and the same from Buenos Aires as well. Once in Porto Alegre, you can reach Florianopolis by another flight or a five hour bus ride. Elena makes the following recommendations (click through the links for more information). Porto Alegre Creative Travel platform, including travel tips, workshop ideas & video material. Plaza Sao Rafael, a value luxury accommodation in Porto Alegre. This is where Elena did her dance & cooking demo. Learn about the dish carreteiro de charque, the stone workshp, and the photo walk around Porto Alegre here. 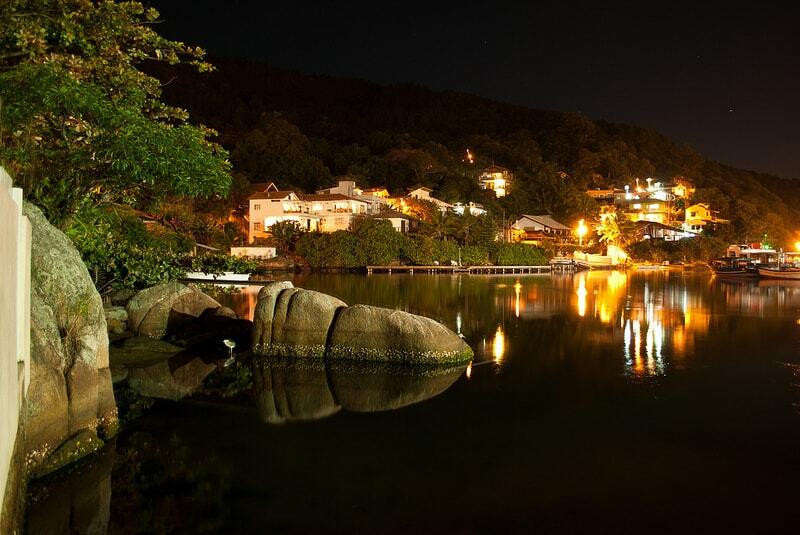 Florianopolis restaurants are known for their excellent seafood, notably oysters, as well as for the daily camarao. Recommendations from Elena include: Rancho Acoriano, Barracuda Grill, Arante Restaurant at “Pântano do Sul” (at the very southern tip of the island city), and Fairyland Cupcakes. Market recommendation: Mercado Sao Jorge. Read more about Elena’s experiences in Brazil and get additional recommendations here. Follow all of Elena’s travels on her blog, Creative Elena. She has also written a book, The Creative Travelers Handbook . You can follow her on social media: Twitter, Facebook, Pinterest, Google+, Instagram, and YouTube. See you next week when we’ll be talking about where else to go – Rwanda.